Not at school? Get passwords here. Need more? 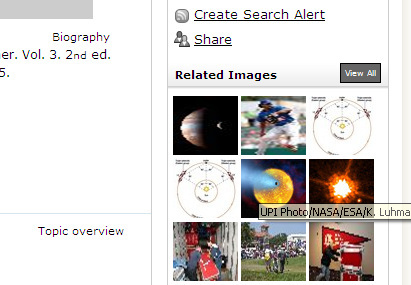 Try NASA or National Geographic. 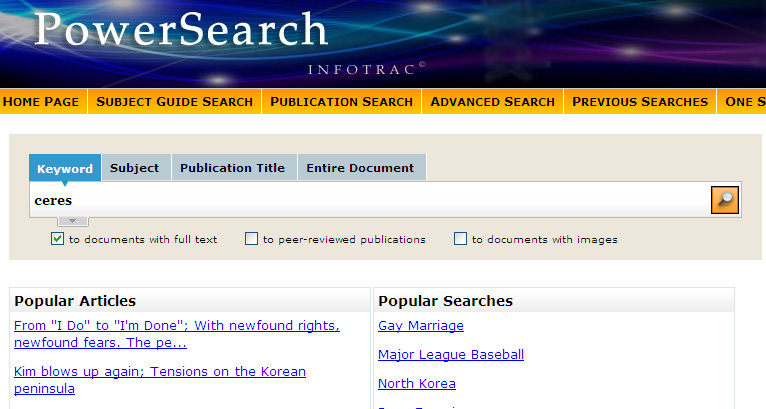 Gale PowerSearch: Related Images, right side of page after searching (or images in articles). Includes MLA citation. Do not copy the image without clicking on the picture, then clicking "Website for this image". Is this a reliable site (NASA, etc.)? Am I sure this picture really shows what it says it shows? Is there a clear caption explaining where it came from? Will I be able to create an MLA citation for this image? 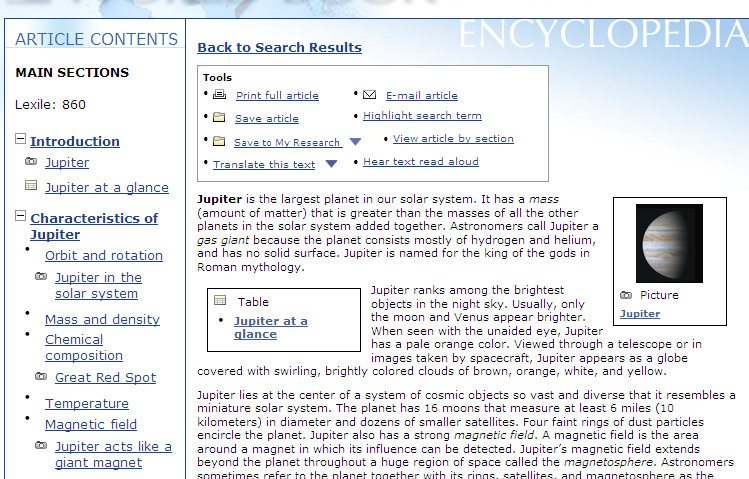 World Book Online image (click to see caption - no citation included). Scroll to bottom of the article to find the MLA citation. 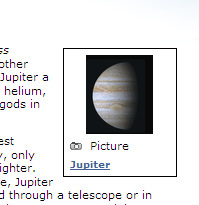 "Jupiter." The Gale Encyclopedia of Science. Ed. K. Lee Lerner and Brenda Wilmoth Lerner. 4th ed. Detroit: Gale, 2008. Discover Collection. Web. 15 May 2013. 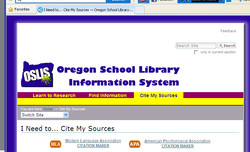 Use OSLIS citation maker or Easybib to create MLA citation.